Streamline all demand and maximize revenue in a single unified platform. 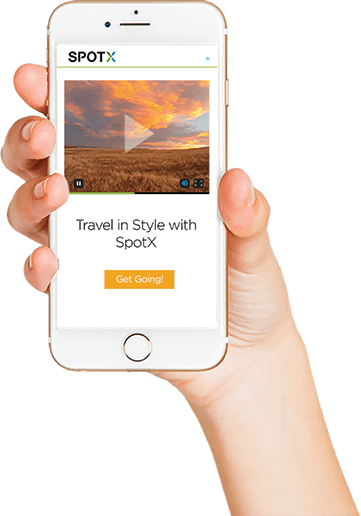 Built for optimal efficiency in the complex video ad landscape, SpotX’s complete video ad serving platform empowers publishers to simplify workflows while maximizing yield. Our video-first technology includes ad management, campaign management and ad trafficking, allowing you to manage traditional direct sold, programmatic direct, and private marketplace deals using a single platform. Monetize all your video inventory across web, mobile app, or connected devices. Manage all traditional direct-sold and programmatic demand in a single platform to yield the highest revenue for every impression sold. Optimize your revenue potential in real time with industry-leading transparency into every transaction. Transact on a basis of your inventory’s most coveted attributes including viewability, player size, and unique audience characteristics. Activate video-first parallel ad decisioning via direct and tag-based server-side integrations. Activate parallel ad decisioning with the flip of a switch through our industry-leading joint solution with JW Player. Activate unique first- and third-party audience data in a secure environment to increase the value of inventory. Leverage deep audience insights from our partners at Adobe, Salesforce, LiveRamp, and Lotame. Layer on additional audience data from third-party sources to enhance the value of your inventory. Safeguard your data against unauthorized access outside of each transaction with SpotX’s proprietary Audience Lock solution.